Round Earth Media is reporting on issues that need attention from parts of the world that are rarely covered, via the nation's most respected journalism outlets. Editors say they look to Round Earth to produce content from places that go uncovered and about issues that need attention – stories the editors don’t know about and depend on Round Earth to find. We cover a wide range of issues from poverty and the environment to food and music. While the need for international news has grown exponentially, the ability of American news organizations to provide that information has shrunk as they have felt the economic challenges that communications technology, like the Internet, has created for them. We’re doing this with outstanding early career reporters who are supervised and mentored by veteran journalists who have worked at the nation’s premier news organizations. Round Earth Media has developed and continues to expand a global network of “nextgeneration” journalists who, acting as independent entrepreneurs, partner with us to cover the regions in which they live. The young journalists bring ambition, energy, enthusiasm and cutting-edge knowledge of multimedia to the table. Round Earth’s veteran journalists, relying on their solid grounding in news coverage and ethics, supervise theNextGen journalists. 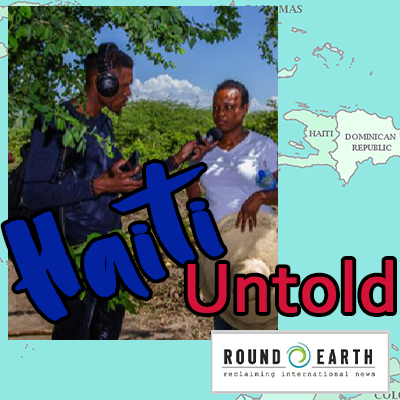 Through the veteran journalists’ connections with media organizations, Round Earth is able to place the stories in major media outlets. What results is a relationship that benefits from the best of the best. A week-long series of 7- to 8-minute features exploring the environmental implications of NAFTA in Mexico. Hour long program contains body of show but no newsbreaks or cutaways.